236 Commonwealth is located on the south side of Commonwealth, between Exeter and Fairfield, with 234 Commonwealth to the east and 238 Commonwealth to the west. 236 Commonwealth was designed by architect William Whitney Lewis and built in 1879-1880 by Woodbury & Leighton, masons, and MacKenzie & Campbell, carpenters. It was built as the home of leather and hide merchant Horace W. Wadleigh and his wife, Mary (Willian) Alden Wadleigh. He is shown as the owner on the original building permit application, dated October 3, 1879. They previously had lived in Cambridge. They also maintained a home in Cohasset. William L. Alden, Mary Wadleigh’s son by her first marriage, to Warren Alden, lived with them. Mary Wadleigh purchased the land on which 236 Commonwealth was built on October 18, 1879, from the National Bank of Commerce of Boston. It was part of a parcel of land the bank had acquired on May 18, 1876, from Nathan Matthews, part of a larger tract originally purchased by Nathan Matthews on January 2, 1871, from David Sears, Jr., Frederick R. Sears, and Knyvet Sears. Click here for an index to the deeds for 236 Commonwealth. 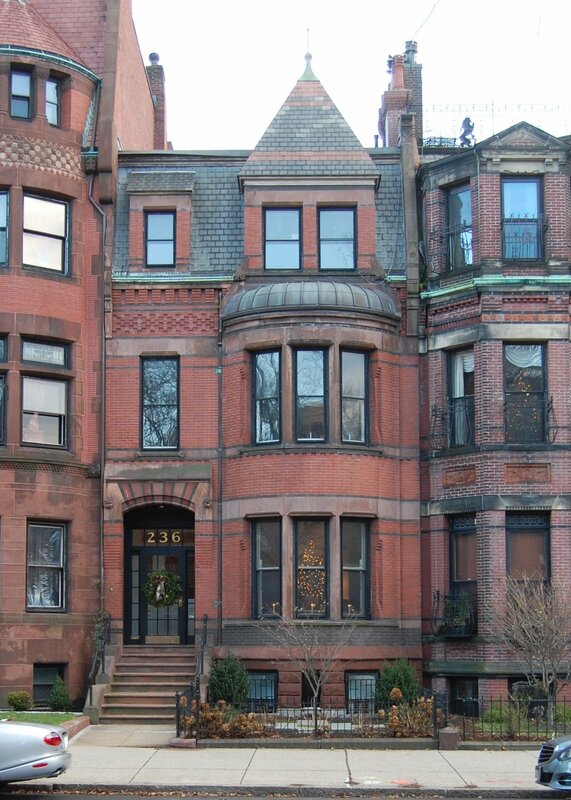 The Wadleighs continued to live at 236 Commonwealth until 1889, when they built a new home at 234 Commonwealth (also designed by Lewis) and moved to it upon its completion. William Alden continued to live with them. On June 18, 1889, 236 Commonwealth was purchased from the Wadleighs by Catherine Brown (Lyman) Hill Dizer, the wife of boot and shoe manufacturer Silas Canterbury Dizer. They previously lived at the Hotel Vendôme. They continued to live at 236 Commonwealth in 1899. By 1900, they had moved to the Hotel Somerset, but Catherine B. Dizer continued to own 236 Commonwealth and lease it to others. The Dizers also maintained a home in Hingham, Meadow View Farm, where he died in January of 1907. Catherine Dizer married again, in April of 1914, to Frank Julien Naramore, a retired manufacturer from Bridgeport, Connecticut. After their marriage, they lived in Hingham. During the 1899-1900 winter season, 236 Commonwealth was the home of Walter Motherwell Briggs and his wife, May Elizabeth (Phillips) Briggs. They had been married in January of 1899 and 236 Commonwealth probably was their first home together. Walter Briggs was a real estate agent and would later become treasurer of several mining companies. By the 1900-1901 winter season, they had moved to 409 Beacon. 236 Commonwealth was not listed in the 1901 Blue Book. 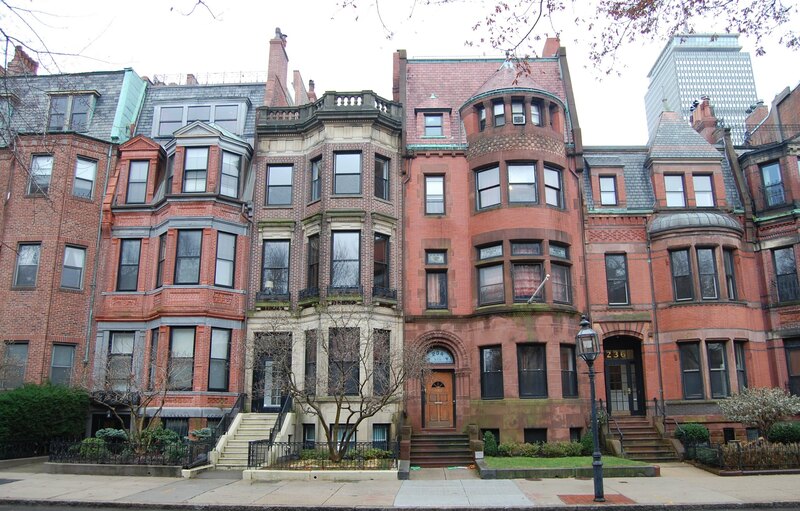 By the 1901-1902 winter season, 236 Commonwealth was the Boston home of banker David J. Lord and his wife, Martha Ellen (Chase) Lord. They also maintained a home in Lynn. They previously had lived at 490 Beacon. They continued to live at 236 Commonwealth until about 1909, when they moved to Lynn. 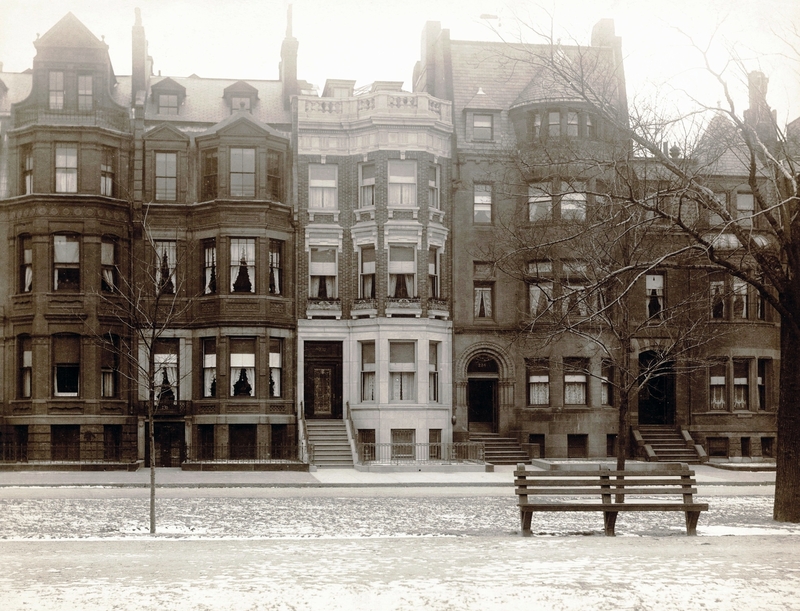 By the 1909-1910 winter season, 236 Commonwealth was the home of Dr. William Gray Adams and his wife, Mabel Anne (Cowie) Adams. They previously had lived (and he had maintained his medical office) at 259 Beacon. They initially leased 236 Commonwealth, but on November 28, 1914, Mabel Adams purchased it from Catherine Dizer Naramore. William Adams was a physician and surgeon. He maintained his medical offices at 236 Commonwealth and also in Hyde Park. He and his wife also accepted lodgers at 236 Commonwealth, among them Hugh H. Mawhinney, a shoe and leather merchant, who died there in October of 1915. In 1925, the Doyles were living in Belfast, Maine, and on July 2, 1925, Mabel Doyle transferred 236 Commonwealth to her deceased first husband’s sister, Minnie Shepard (Adams) Uhl, the wife of William Frank Uhl. The Doyles resumed living at 236 Commonwealth in 1926, but appear to have separated at about that time. 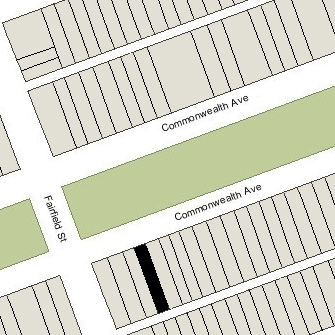 She continued to live at 236 Commonwealth In 1927, but moved thereafter, possibly to Belfast. By 1935, she was living at 89 Charles, and by 1936 had moved to 20 Marlborough. On January 20, 1928, 236 Commonwealth was acquired from Minnie Uhl by Lydia Waterman (Lincoln) Bateman, the wife of wool broker William Robinson Bateman. They previously had lived in Brookline. On May 31, 1928, she transferred the property into both of their names. William Bateman died in October of 1929. Lydia Bateman continued to live at 236 Commonwealth until her death in October of 1934. The house was not listed in the 1935-1937 Blue Books and was shown as vacant in the 1934-1937 City Directories. In January of 1937, Dr. George A. Pease, a dentist, filed for (and subsequently received) permission to convert 236 Commonwealth from a single-family dwelling into a single-family dwelling and dental office. On June 16, 1937, he acquired the property from the estate of Lydia Bateman. George Pease married in July of 1937 to Helen Tulloch Blakney, a teacher, and they lived at 236 Commonwealth. His previous marriage, to Mildred J. Taylor, had ended in divorce in 1936. Prior to their divorce, they had lived in Newton and he had maintained his dental office at 330 Dartmouth. On June 5, 1958, George Pease transferred 236 Commonwealth into his and his wife’s name. George and Helen Pease continued to live and maintain his dental office at 236 Commonwealth until about 1963. On June 26, 1963, 236 Commonwealth was acquired from George and Helen Pease by Mrs. Kathryn (Goddard) Kelts, the former wife of Benjamin Donald Kelts. She lived in an apartment at 414 Beacon. On October 23, 1963, 236 Commonwealth was acquired from Kathryn (Goddard) Kelts by Newman Preparatory School, located at 245 Marlborough. In March of 1964, it filed for (and subsequently received) permission to convert the property from a single-family dwelling and professional office into classrooms. The school continued to use 236 Commonwealth for classrooms until about 1972. Newman Preparatory School also owned 30 Fairfield, and in December of 1972, it filed for permission to change the use of both buildings from a secondary school into a degree-granting college. The applications were denied by the Building Department and the Board of Appeal dismissed the school’s appeal of the denial. On February 14, 1974, 236 Commonwealth and 30 Fairfield were purchased from Newman Preparatory School by real estate developer Raymond A. Carye. On July 3, 1974, 236 Commonwealth was acquired from Raymond Carye by Paul S. Cohen and Keevin Geller. That same month, they applied for (and subsequently received) permission to convert the property from school classrooms into four apartments. 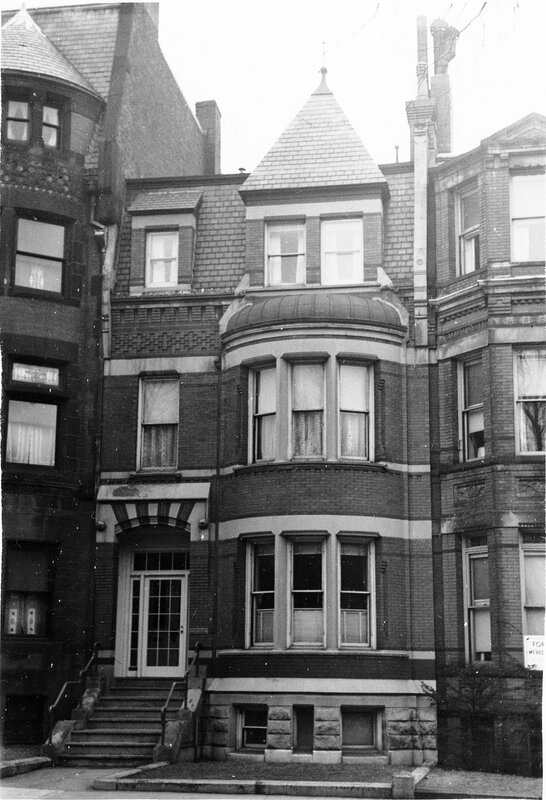 On October 8, 1974, they converted property into four condominium units, the 236 Commonwealth Avenue Condominium. In September of 1984, they applied for (and subsequently received) permission to construct a two-story addition at the rear of the building, adding two additional rooms to the existing units. In October of 2004, the owner of two of the units filed for (and subsequently received) permission to combine the two units and to reduce the legal occupancy of the building from four to three units.